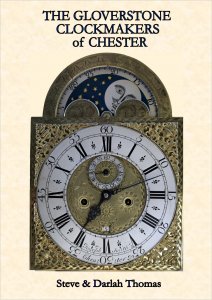 Gloverstone was once a vibrant, residential and commercial area within the city walls of Chester, During the late seventeenth and early eighteenth centuries many clockmakers were attracted there. Why? Click here to find out a little about Gloverstone. 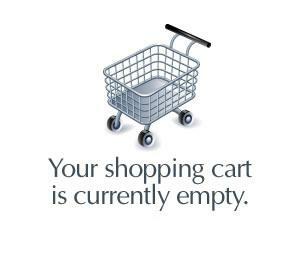 See Buy our Books page. 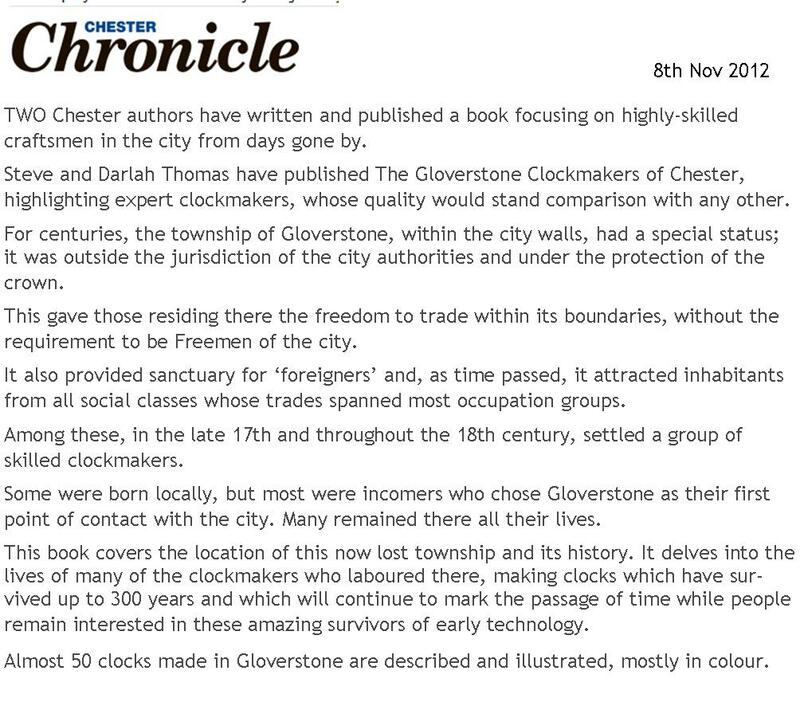 Read a report of the book which was published in the Chester Chronicle on 8th November 2012. Thirty-one Clockmakers are currently known to have lived and worked in Gloverstone. Joseph Smith was one of the most prolific Gloverstone clockmakers. 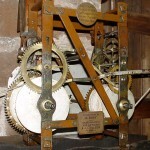 He was the son of Gabriel Smith of Barthomley and made many of the clocks for the churches in and around Chester. Many of them are still giving service today, see below. Click on an image to open a larger view. 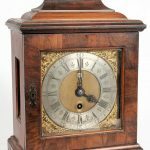 A table clock by Joseph Smith of Chester c. 1750, with alarm, rolling moon and five minute repeat was auctioned by Bonhams, London recently. 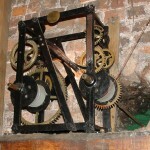 It is a large clock which showcases Joseph’s skills. Click the image below for a full view. Before Joseph Smith began working in Chester, he worked in his childhood home in the East Cheshire village of Barthomley, some thirty miles south east of Chester. 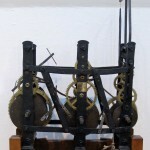 A single train bracket clock, was put up for auction recently, which was signed ‘Joseph Smith, Barthomley’. It was probably made about 1720, shortly before Joseph moved to Chester. Click image below. 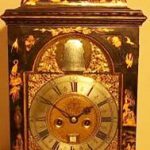 About two years later, a rather tired looking longcase clock also made by Joseph during his Barthomley phase, was up for auction. 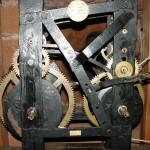 It is a thirty hour clock in an oak case which may be older than the movement. 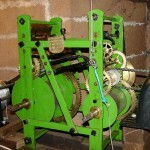 Both Barthomley clocks would have been made at a similar date. Click image. 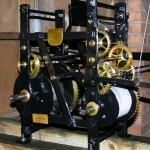 More news about the lacquer finished bracket clock. 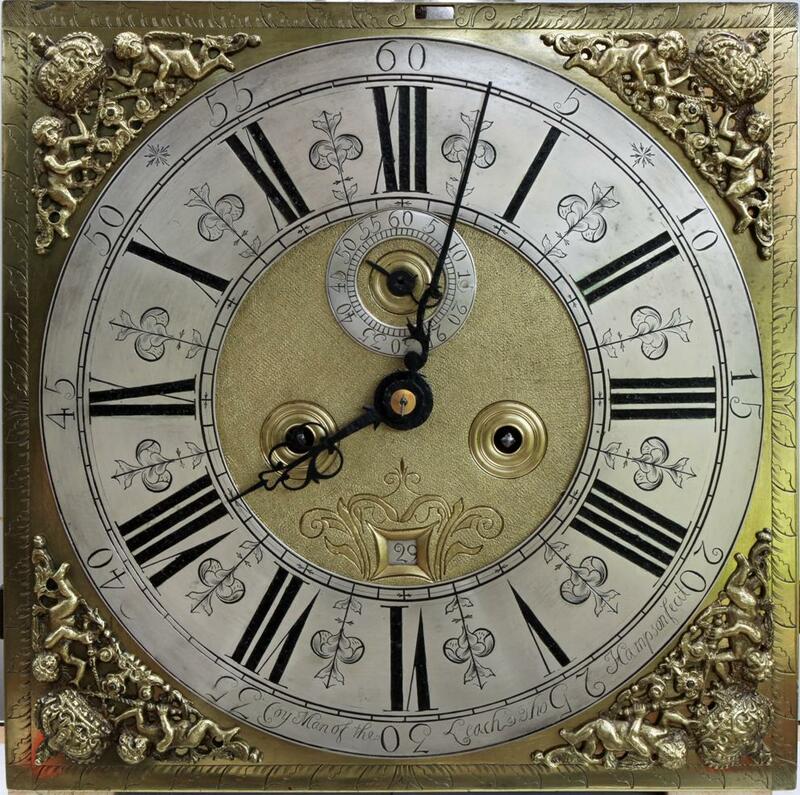 We believe we have traced the original owner of this clock. Take a look here. 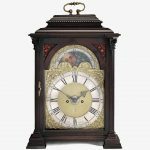 A Joseph Smith lacquer finished bracket clock was advertised for sale in the USA during October 2015. Click the image below for a full view. 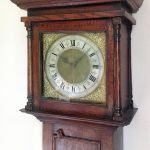 The Coy Man clock by Thomas Hampson made during the early years of his career was described fully in our article: Thomas Hampson of Wrexham – His Chester Phase. 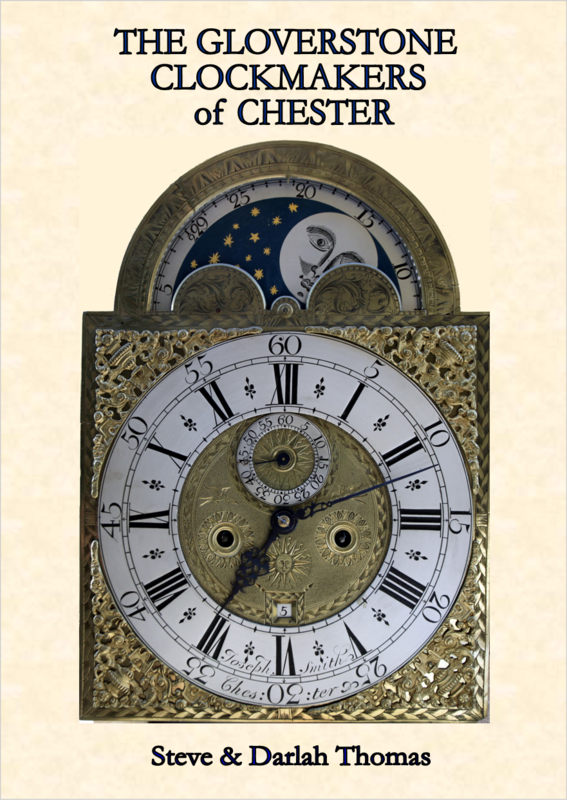 This is one of only a handful of his clocks with a Chester signature. Read the article here.